Fendi sunglasses are an example of how a company evolves with its products. Currently Fendi is one of the most famous brands from the fashion world. We can find details that make Fendi a very different brand. Each one of their models reflect Karl Lagerfeld’s creativity. Their products are a sample of its style and good taste. All their models are manufactured almost perfectly. Fendi choses for its glasses the best materials, making them luxury products. The catalogue of Fendi sunglasses for this 2018 presents bold and feminine designs. Cat-eye shapes, squared and round are the most seen among their designs. When talking about colour, the brand bets for striking colours as golden, red and copper. Also, they offer their classic tones: Black and blue. The trend for this year will be frames including pearls as their main feature. 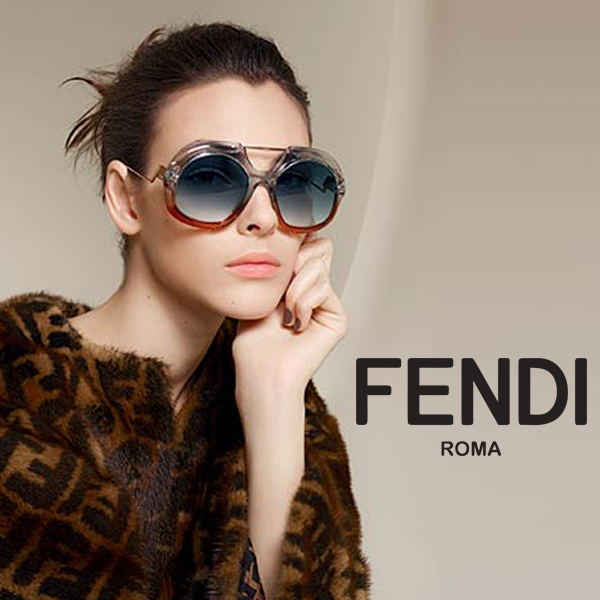 Fendi glasses for women are characterized for a luxury and feminine style. Their models have distinctive details that will stand out. The brand presents glasses for men in which you will find designs for everyone. These are made with geometric shapes looking for a bold and at the same time minimalist look where contrasts stand out. 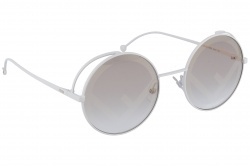 Some of the emphasized models of this collection are Fendi Air M0008, with a metallic frame that offers an elegant look. Also, Fendi Fantastic is a model that provides better eye protection thanks to their lateral protections. The brand also has a wide catalogue of eyeglasses for women. These models have the same spirit as the rest of their designs. In this way you can find elegant models with modern and original touches. If you are looking for acetate eyeglasses you can choose Fendi 0307, presenting a retro and feminine style. 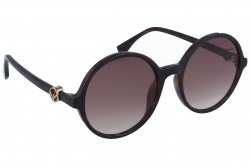 If you are looking for thin metallic frames Fendi 0308 is a very good option. Fendi has a long history. They started in Italy as a little company created by a couple. They worked together creating leather products. Over the years, the brand was evolving, including the couple’s daughters and acquiring worldwide fame. Nowadays Fendi has 1200 stores all over the world. In Optical H we offer the best Fendi sales. From our online store we provide you the easiest purchase process, and we help you choose the designs that adapts best to your taste and necessities.